Anyway, that’s not the point for today’s entry! Instead, I’m pleased to introduce to you L’Occitane’s new Rebalancing Line consisting of products such as the shower gel, massage cream, black soap and face mask! Made with 100% natural reenergising scent and scientifically proven to rebalance effectiveness, this is a ritual aimed to awaken your senses and bring well-being and harmony to your body and mind. 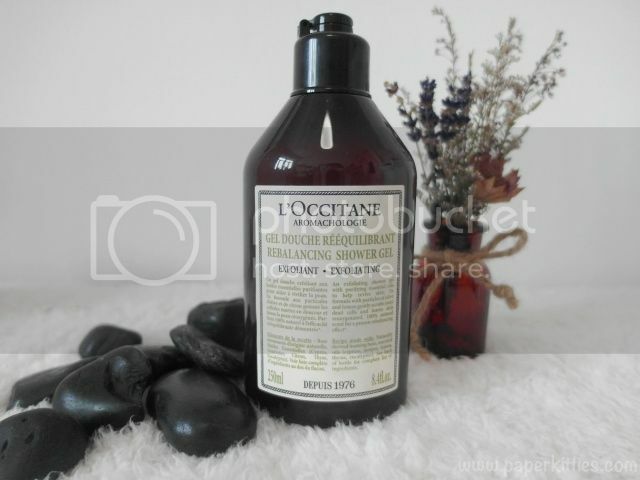 L’Occitane Aromachologie Rebalancing Exfoliating Shower Gel (SGD$33 for 250ml) is a gentle exfoliating shower gel made with purifying essential oils and small exfoliating beads. Its scent is 100% natural, leaving your skin feeling revived and fresh. 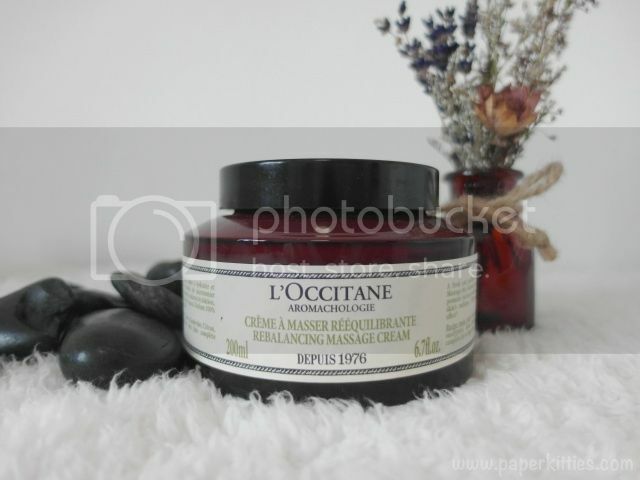 Next up, L’Occitane Aromachologie Rebalancing Massage Cream (SGD$69 for 200ml) is then use to complete my bath time experience with its fresh, gel-like texture that helps stimulate microcirculation and re-oxygenate the skin when massaged all over the body.